Candice's Bridal Diary: Getting Pretty! 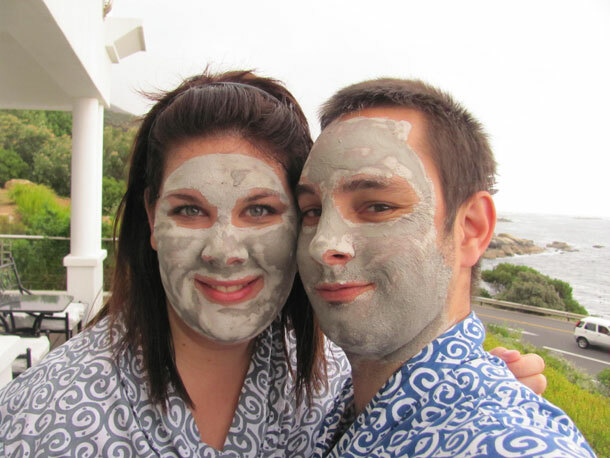 You are here \ South Africa Weddings \ Tie The Knot \ Bride To Be \ Candice’s Bridal Diary: Getting Pretty! With officially less than 100 days to go, I’ve started paying a little more attention to my beauty, skincare and overall health habits. While I’ve always taken reasonably good care of my outsides, every bride-to-be wants to be extra radiant and glowing on the day so I’ve officially started my preparations. I’ve always bought shampoo and conditioner from supermarkets or pharmacies– I’ve now made the change to salon products. I’m using L’Oreal Kerastase , and can feel the difference – bring on shinier, softer hair! I’ve switched skin care products (from Neutrogena to Demologica) and am thrilled with the results. Smoother, healthier less blotchy skin. I’ve also added an exfoliator and mask twice a week. Yes, the products are a little more expensive, but considering how little you use, and the results they give – completely worth it. Luke has now also joined my gym, and we’re planning on putting in some serious sweaty-couple time at our local Virgin Active – it’s a habit we want to get in (and stay in) once we’re married – and nothing like the thought of your wedding dress and suit – and all those photographs – to motivate you to put in a little more time on the treadmill. This doesn’t mean we’ll only be eating lettuce leaves for the next three months – but rather, we’re trying to get into healthier eating habits : not needing to have potatoes or pasta with every meal, making interesting salads and just becoming more aware of what we’re putting in our bodies.